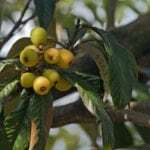 Though some Loquat Tree's are self pollinating, there are many cultivators that must be pollinated with another tree. 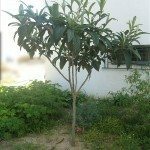 Since most Loquat's that are purchased from a nursery are a grafted stock, they should began producing fruit at 2 to 3 years of age. The fact that your tree is older then this, has blossoms and no fruit suggests you need another tree to provide pollination.